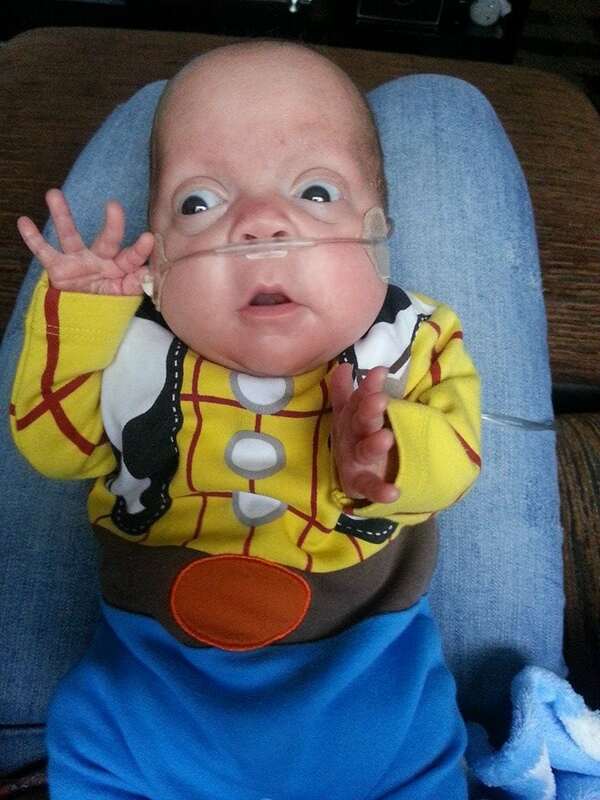 Meet inspiring baby Dexter who was born at 22 weeks and weighed 1lb 3oz. We helped secure Dexter a magazine deal to share his story with other parents who are going through a similar situation. As I put away the washing up, I rubbed my tiny bulge with a mixture of excitement and dread. I was 20 weeks pregnant and my little baby bump was starting to show. After losing Lucy last year at just 22 weeks, losing the bump I had already named Dexter would be heart-breaking. “How’s our little Dextty doing?” asked my partner Mark, 48. He touched my tummy and smiled at me. “He’s good,” I said with a hint of uncertainty. I couldn’t become excited about Dexter, I was petrified about losing my little boy like I lost Lucy. 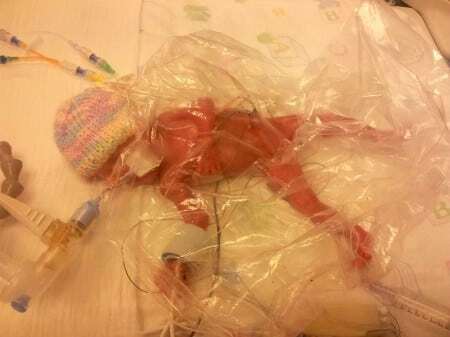 Lucy only survived for an hour and 15 minutes after she was born nearly four months early. At the 22 week mark, I started to pray. “Please get past the 24th week,” I whispered to Dexter, holding my belly. 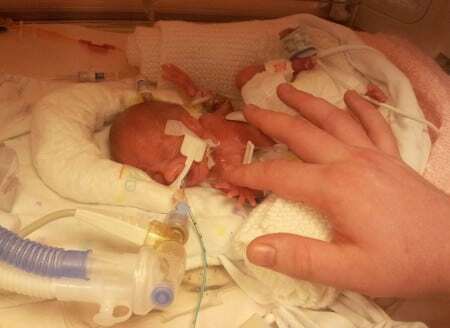 The doctors told me that if Dexter was to be born early like Lucy, then he’d stand a much better chance of survival if he could get to 24 weeks. But at 23 weeks, as I was vacuuming the living room, I suddenly started to feel really odd. The feeling felt ever so familiar and my heart sank knowing something wasn’t right. 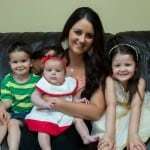 I booked an appointment and a few days later the doctors told me the most devastating thing I could have heard. “I’m really sorry, Nina, but you’re 2cm dilated and it looks like Dexter’s going to make an early appearance.” I looked up at Mark and burst out crying. “Not again!” I sobbed. 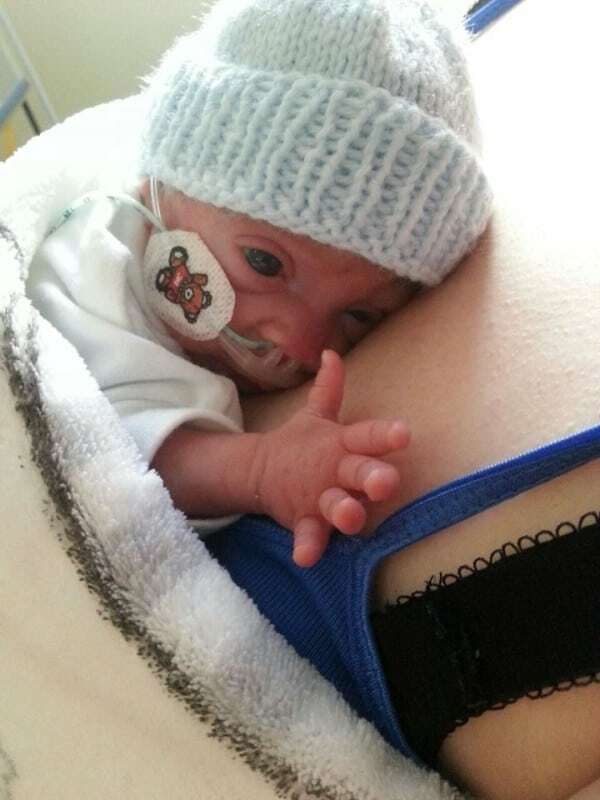 Following in his big sister’s footsteps, Dexter’s early arrival was becoming inevitable, and that if he was born within the next week, he’d only have a 5% chance of survival. My world fell apart. “There’s no way I’m losing him,” I sobbed to Mark. “I can’t go through this again.” He rubbed my head to comfort me but nothing could console me. “Our only option is to insert an Arabin pessary,” the doctor explained. He went on to say that the pessary is used to treat pregnant women with cervical incompetence in order to support the cervix and keep the baby inside the womb for as long as possible. “It should hopefully delay Dexter’s early arrival for a week or two,” he said. “Every day that goes by, his chances increase a little more.” But two days later and Dexter just wasn’t responding. He was determined to come out, even though he wasn’t ready and nowhere near developed enough to survive. After four hours of labour, by tiny baby Dexter had arrived. He was only 22 weeks old. Just 154 days. Dexter was the size of a fig and hadn’t even developed his eye colour yet. He was whisked away from my grasp before I could even meet him. He weighed a tiny 1lb 3oz, the same weight as a tennis ball and he was rushed into intensive care where he was put into a sandwich bag and hooked up to oxygen, wires and chemicals while doctors made great efforts to keep him alive. Dexter had five blood transfusions the night he was born and he had several bleeds on his tiny brain. “Dexter’s condition is critical,” the doctor told me. “He probably won’t make it through the night. I’m really sorry.” He turned his back and walked away. But that night Dexter somehow managed to pull through, and after days of waiting in absolute agony, we could finally meet our little man. He was so tiny and his skin was see-through and his hands were no larger than a grape. I held him in my arms while wearing a pair of gloves because he was so precious and tiny, it was the nicest feeling in the world. I have finally met my little boy. I looked around the intensive care unit and saw so many small babies. “There are other babies in the here, Mark, and they’re far bigger than Dexter and they aren’t pulling through.” I looked down at him resting in the palm of my hand and prayed that he’ll pull through. Doctors told us there was little hope for Dexter, and Mark and I prepared ourselves for the second time to lose another child at 22 weeks.Amazingly, Dexter spent eight-long weeks at the hospital, where we constantly monitored 24-7, and had yet more blood transfusions to keep him strong. He was then transferred and treated in Stoke Mandeville’s specialist unit, where it was make or break for our little boy. I was by his side for 13-hours a day until visiting hours were over and Mark visited before and after work. But, after 10 weeks, Dexter bounced back and proved us all wrong. Our little 5% miracle was going from strength to strength. 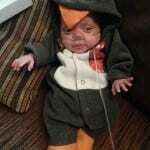 Dexter now weights 4lbs 2oz and has survived 22 blood transfusions and had had numerous bleeds on his brain. He’s also had a gut infection but he’s fought through it all. At six-months old Dexter is our little hero and is finally home with us. Doctors said Dexter will suffer from chronic lung disease until at least the age of five, and he’ll be hooked up to oxygen while at home and on day trips away. But Mark and I will be forever grateful we still have our little boy by their side. The odds stacked up against him but he pulled through. “I think Lucy is looking down on her brother and looking out for him,” I said to Mark smiling. If you have a story to share with the press, and would like to help inspire others going through a similar situation, contact us today (using the form on this page). You can read more about how to sell a story to the press on our ‘sell my story’ page: Sell My Story. Michelle Hui talks about her miracle baby who survived abortion and a miscarriage. Baby Megan is so amazing that medical journals are writing about her. I was standing at the train station in County Kildare, Ireland, waiting for my train to go to work when I felt a gush down below. I looked down and saw, to my horror, that my white linen trousers were covered in blood. I was just six weeks into my pregnancy. I immediately started walking home and called my hubby, Ross, 33. “I’m at the station, and I think I’m losing the baby,” I cried. “Oh, God,” he gasped. We already had two children together: Mya, 3, and Noah, 24 months. I suffered with polycystic ovary syndrome and I’d needed fertility drugs to help me conceive. But because Ross and I loved nothing more than being parents, we decided to try for another baby. Only this time, we wanted to do it naturally. Though things moved a lot faster than either of us had dared imagine. “I can’t believe it,” I said, as I held the little stick between my thumb and finger. “It’s positive.” It was only a couple of months after we’d started trying and the two little blue lines was something I never thought I’d see again. Ross was delighted, and although we wanted to tell everyone in our family, we kept it to ourselves. Ross grabbed me as soon as I walked through the door and hugged me. “Let’s get you to the hospital straight away,” he said. We drove the kids to my mums and then raced to Rotunda Hospital in Dublin. Still holding Ross’s hand, I broke down. I was in such shock and still bleeding quite heavily. The doctor suggested I stay in hospital overnight and he gave me an abortion pill to help clear my uterus. That night on the ward I tossed and turned grieving over the baby I had just lost. It was the longest night of my life. Having a miscarriage was bad enough, but on top of that to have an abortion was horrific. In the morning the doctor advised me to take a pregnancy test in 10 days. “A positive result means you still have pregnancy hormones, so the drugs haven’t cleared everything from your womb,” he said. I would have to return to the hospital for a surgical procedure called a dilatation and curettage (D&C) to remove any remaining tissue. The next ten days were just a blur. 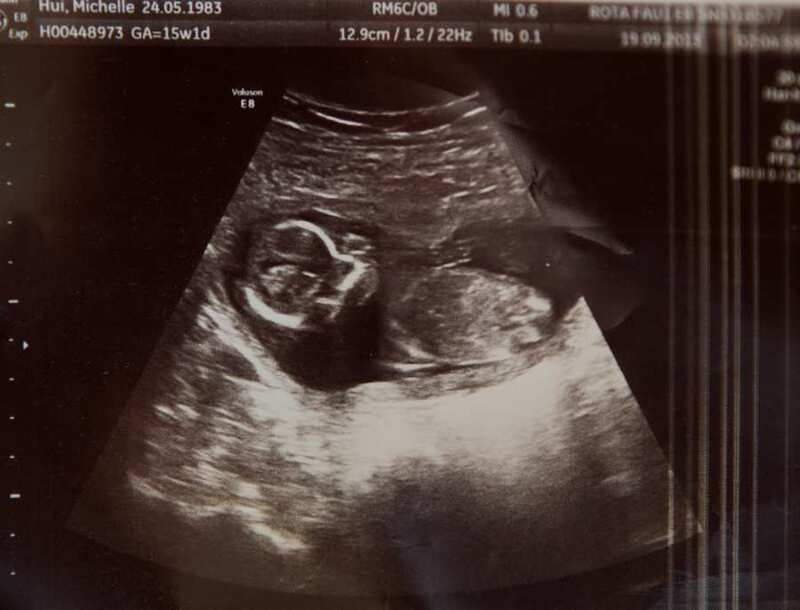 We told friends and family about losing the baby, and they were just as surprised to hear we were having another baby. Everyone came together and gave us so much support. Mya and Noah were lovely, and of course we hadn’t told them about the baby. They just thought mummy was ill. I went out with friends to drown my sorrows and even drank half a bottle of wine. I drank myself silly, and I very rarely drink. But then a few days later, after a pregnancy test came back positive, my hopes were dashed once again. “I’m not sure I can handle this, “I said to Ross. At the hospital, they wheeled me in for a preparatory scan for the D&C and hooked me up to the monitor. But when then I was certain I saw a flickering of a heartbeat on the screen. My own heart skipped a beat. Was that what I thought it was? Surely not. I brushed it off. I’d been through a huge amount the last week, and the last thing I could trust was my own senses. But then the doctor said she needed to go and get a colleague to look at something. “Did you see that, Ross?” I said once she’d left the room. “I’m not sure what that was.” He said, just as unsure as me. After all we had been through I didn’t want to even get my hopes up. Suddenly I realised what he was telling me. I had still lost one baby, though there was one still alive. It was hard to comprehend. On the one hand, I was grief-stricken, and on the other, I was delighted I was still going to have a baby. There was no explanation the doctors could give me for how the baby had survived an abortion pill. We left the hospital full of mixed emotions. And when we told our friends and family they couldn’t believe it. We hadn’t told Mya or Noah about the miscarriage, so they were delighted to learn there was a baby in mummy’s tummy. “I hope it’s a girl,” said Mya. I didn’t care whether it was a boy or a girl – more than anything I just wanted to have a healthy baby. The next few months were terrifying. I would wake up in the middle of the night scared out of my wits that I was losing the baby. I went for scans and check-ups almost every week. But each time the doctors and nurses told me everything was fine. They were right. At 37 weeks, with Ross by my side, I gave birth to a healthy girl. Megan was 6lbs and couldn’t have been more beautiful. She was a fighter who had survived a miscarriage, and an abortion and that’s why we called her Megan: it means strong fighter. I held her in my arms and looked down at her. “Thank God you’re here,” I told her. 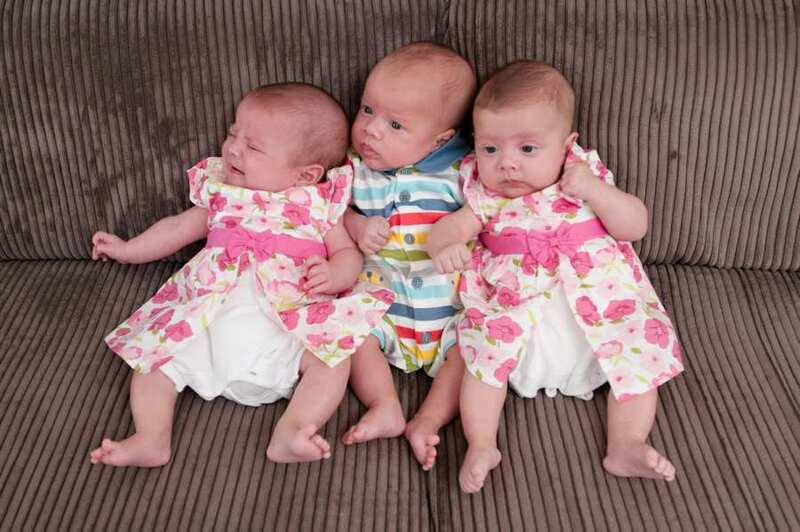 “We love you very much.” Two days later we were allowed to come home and when we did, Noah and Mya were delighted with their new baby sister. Who could blame them – she is a big healthy pudding of a baby! Despite everything we had been through though, I still couldn’t help be grieve for the baby I lost. If I hadn’t had the miscarriage, Megan would have a twin brother or sister to play with, and to grow up with. But we realise just how lucky we are to have her. She is a real miracle, and she’s been written about in medical journals. We were always a strong family, but to be honest it has just made us stronger. If you have a miracle baby story that you would like to share with the press, please contact us today. We are the UK’s biggest and best press agency – we supply national magazines and newspapers with around 20% of all news content. We’d love to help you share your story and secure you the most money possible. Our service is completely free, so what are you waiting for?! You can tell us a little about your story by filling in the form on the right hand side of this page. One of our team will get back to you with a story valuation, and if you’d like to go ahead, we can get more details from you over the phone. 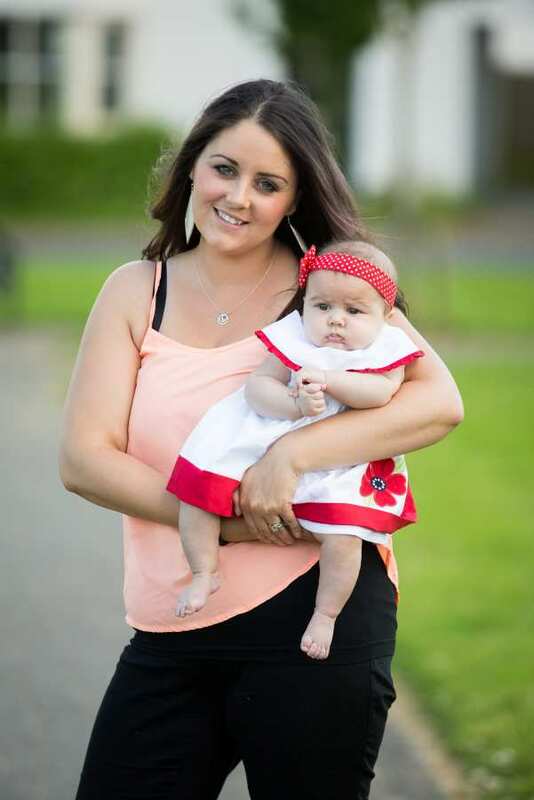 WHEN KIRSTY, 24, WENT INTO LABOUR JUST 19 WEEKS INTO HER PREGNANCY, HER UNBORN BABY WAS GIVEN JUST A ONE PER CENT CHANCE OF SURVIVAL. DEVASTATED, SHE AND HER PARTNER, GARETH, STARTED TO PLAN THEIR BABY’S FUNERAL AND ALTHOUGH THEY WERE ADVISED TO TERMINATE THE PREGNANCY, THE PAIR CHOSE TO LET NATURE TAKE ITS COURSE. 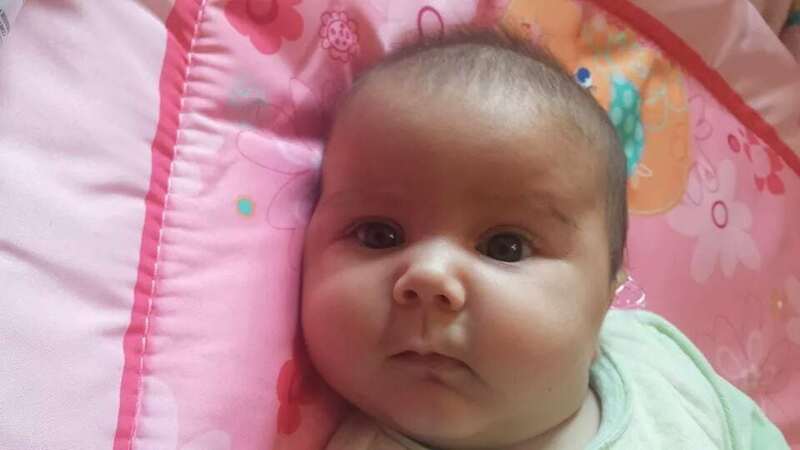 BUT DESPITE THE DIRE PROGNOSIS THEIR LITTLE GIRL LIVED FOR FIVE WEEKS IN THE WOMB WITHOUT HER MUM’S PROTECTIVE WATERS, BEFORE ARRIVING FOUR MONTHS PREMATURE. 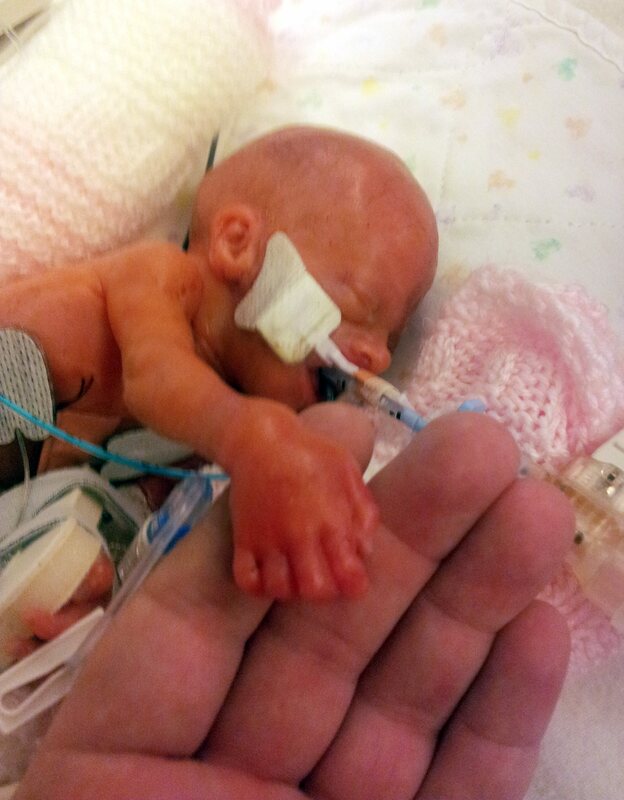 WEIGHING JUST 1LB 6OZ, BABY ESME WAS SO FRAGILE THAT HER PARENTS WEREN’T ALLOWED TO SEE THEIR HER FOR TWO DAYS AND WHEN THEY DID LAY EYES ON HER SHE WAS DWARFED BY HER DAD’S HAND. THE FIRST FEW WEEKS OF HER LIFE WERE TOUCH AND GO BUT NOW EIGHT MONTHS OLD, THE MIRACLE BABY HAS DEFIED ALL THE ODDS AND IS THRIVING. 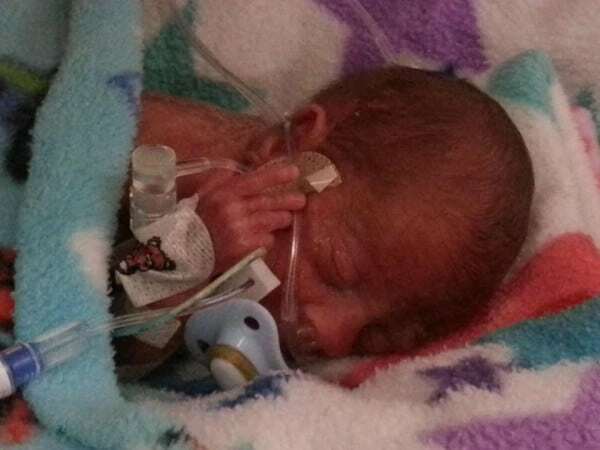 Tiny Baby born at 24 weeks, 1lb 6oz. Tiny Esme was born smaller than an adult hand after surviving for FIVE weeks in the womb without her mother’s protective waters. 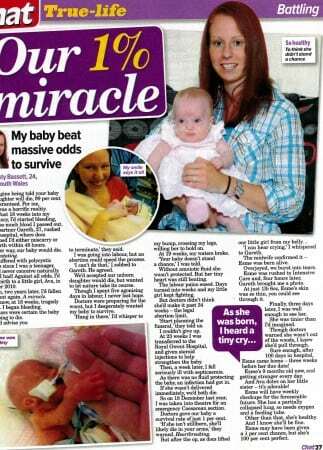 The mite was given just a one per cent chance of life when mum Kirsty’s waters broke after just 19 weeks. 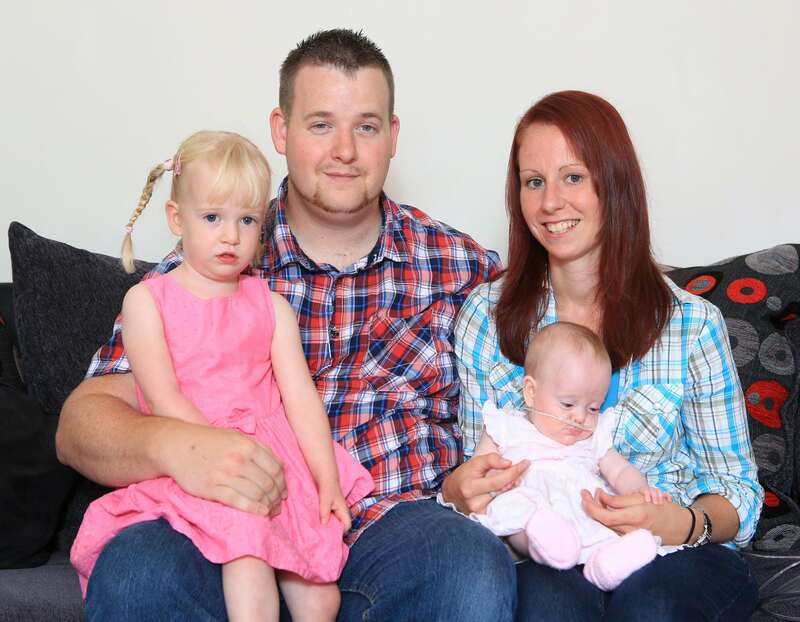 But Kirsty and partner, Gareth, refused to give up hope and Esme was born FOUR MONTHS prematurely weighing just 1lb 6oz. 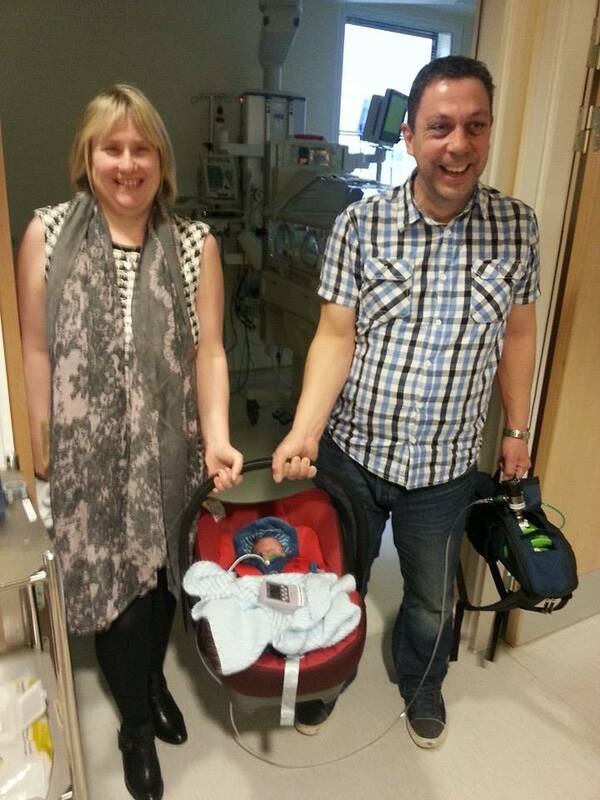 She was so small Gareth’s hand dwarfed her as she lay in neo-natal intensive care. Esme was so fragile and Kirsty was so ill after the birth that she was not allowed to see her for two agonising days. 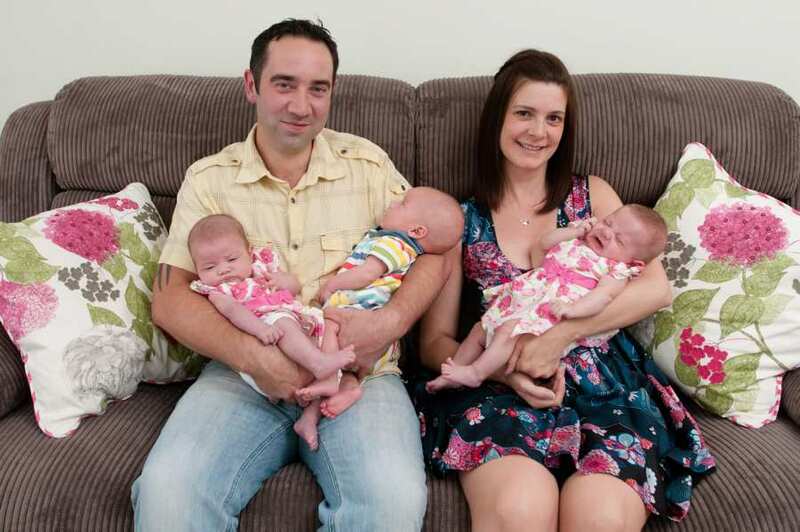 Doctors also warned the couple that the first weeks of her life were also ‘touch and go’ and she may not survive. 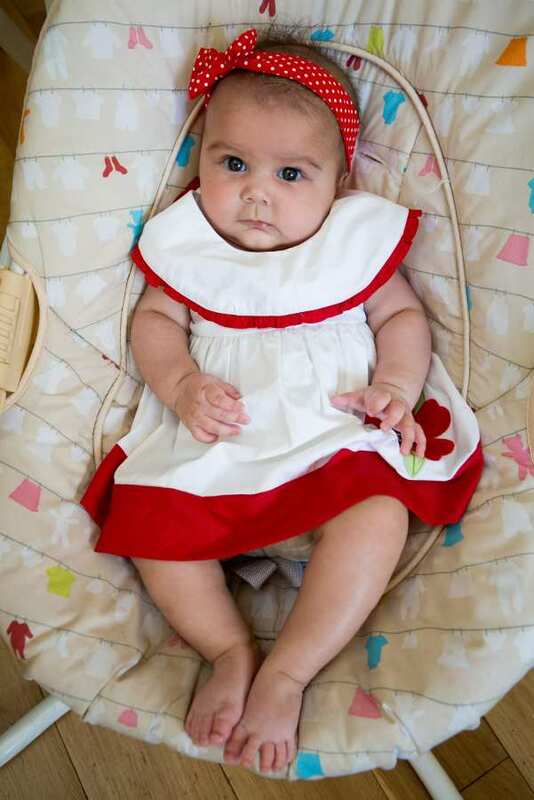 Against all the odds, Esme is now eight months old – although she is still battling lung and feeding complications because of her early birth. Kirsty and Gareth, who also have a two year-old daughter Ava, claim medics at one hospital ‘gave up’ on Esme even before she was born and have since failed to properly address her ongoing problems. 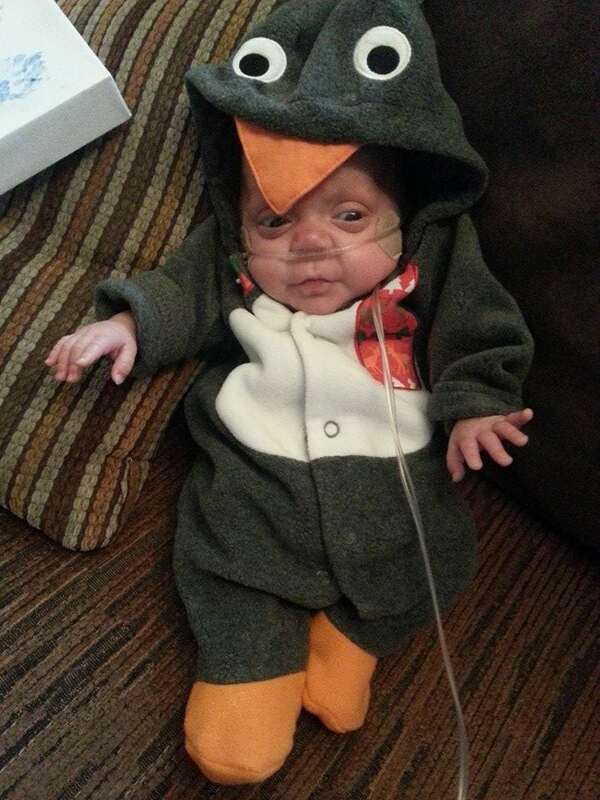 Esme’s remarkable survival story began last November when Kirsty went into labour just 19 weeks into her pregnancy. 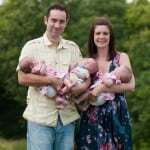 Four days later her waters broke and Kirsty said doctors at the hospital told her she would either miscarry or give birth within 48 hours. Neither happened and her labour calmed but doctors warned there was no chance of the baby surviving without waters and said the pregnancy would stop developing normally. They recommended an abortion but Kirsty and Gareth refused and decided to let nature take its course. The couple started to plan their little girl’s funeral – deciding on a bright colour scheme and the flowers they wanted. Two weeks after her waters broke – and still having periodic contractions – Kirsty was discharged and put herself on bed rest at home. She said: ‘I was told that if I got to 23 weeks I could have steroids to stop the contractions and help viability at around 24 weeks. 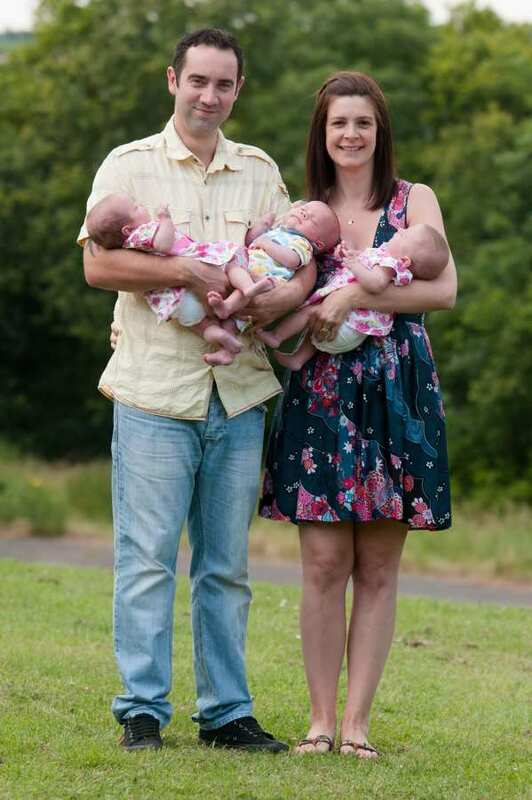 A week later she developed blood poisoning and had to have a caesarian section and Esme was born on December 18 – four months ahead of her due date of April 7. Kirsty recalled: ‘They didn’t think Esme would survive because she’d had no waters for five weeks. There was a one per cent chance. ‘They thought they would give her to us and she would pass away. But she was born crying. They couldn’t believe it. Instead Esme kept improving, and after eight weeks was transferred back to the first hospital and put in the special care baby unit. But it was then that the first problems emerged with her lungs which medics allegedly down-played. Esme began bottle feeding but Kirsty feared she was taking milk into her lungs. Esme stopped breathing a second time and Gareth had to resuscitate her. Kirsty again repeated her concerns about her taking milk into her lungs, but says she was again told the baby had an infection. 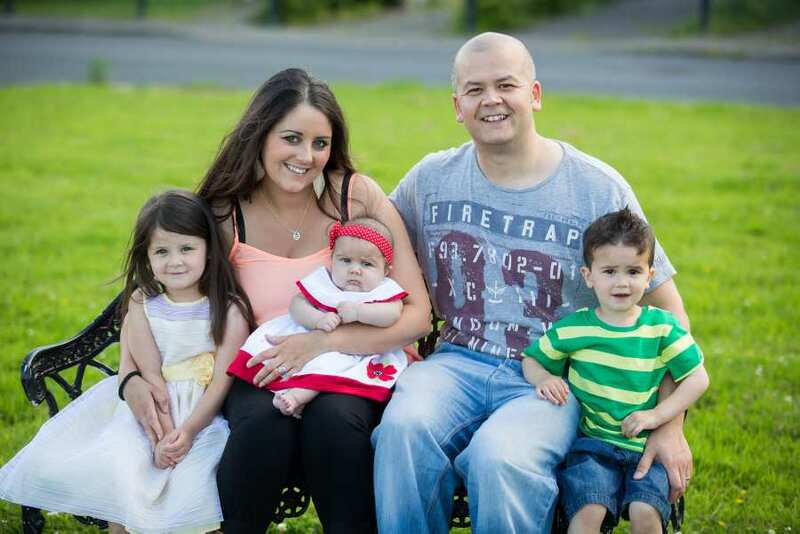 But Esme’s condition worsened and she was transferred to a specialist hospital. If you have an amazing story to share, please get in touch with us today. We are the largest press agency in the UK and guarantee the highest payments, meaning that you, or a charity of your choice will get paid. You can read more about how to sell a story here.